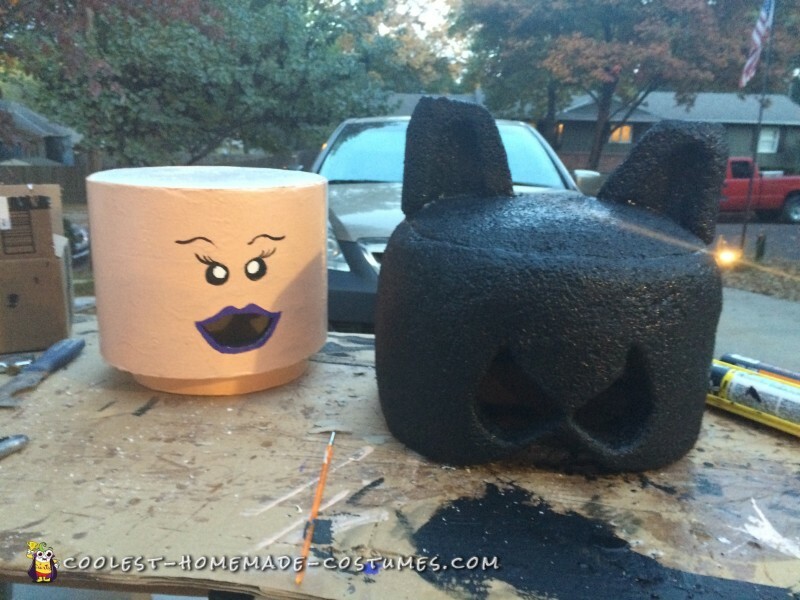 Cardboard, Foam, Ramboard, Pvc Pipe, Fiberglass Resin. I measured an actual Lego body and tried to get the dimensions right for an actual kid Lego body. Each Lego body had different dimensions according to how big the kids were. I cut out each body and hot glued the cardboard together. Then we used Fiberglass Resin to give it a rock hard appearance. We then used a spray paint primer and primed everything multiple times. We spray-painted the bodies to whatever their character color was. I then used my vinyl cuter and cut out all of the details that were on the body. 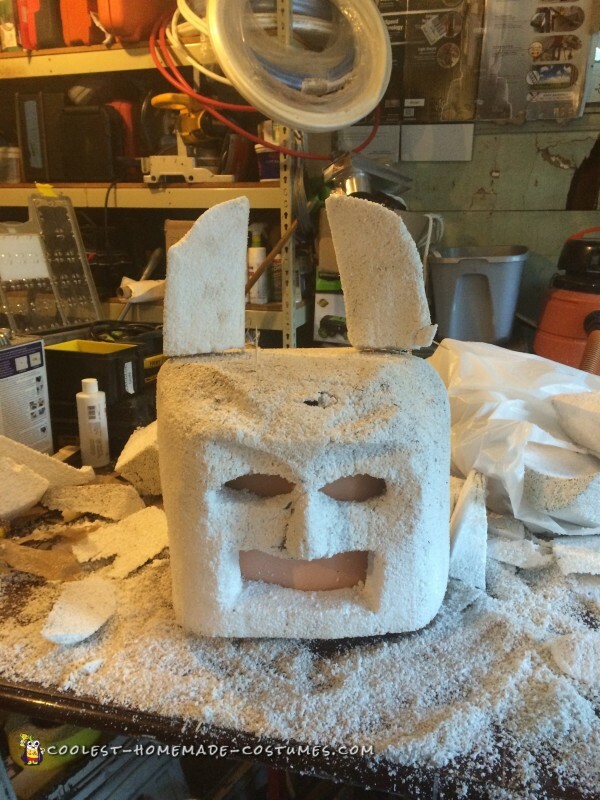 We used Foam to create the heads. 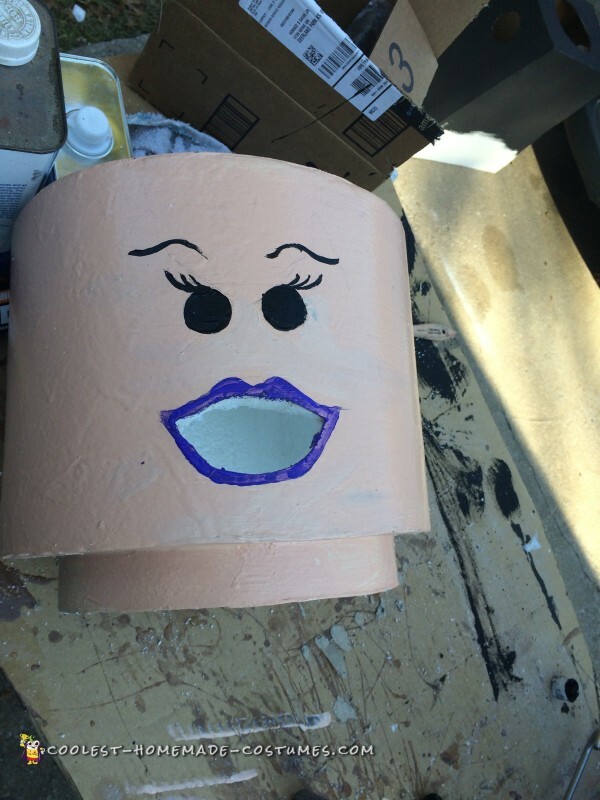 We cut out circles and glued them together until it looked like a Lego head. We did cut one circle shorter then the rest for the neck of the Lego head. 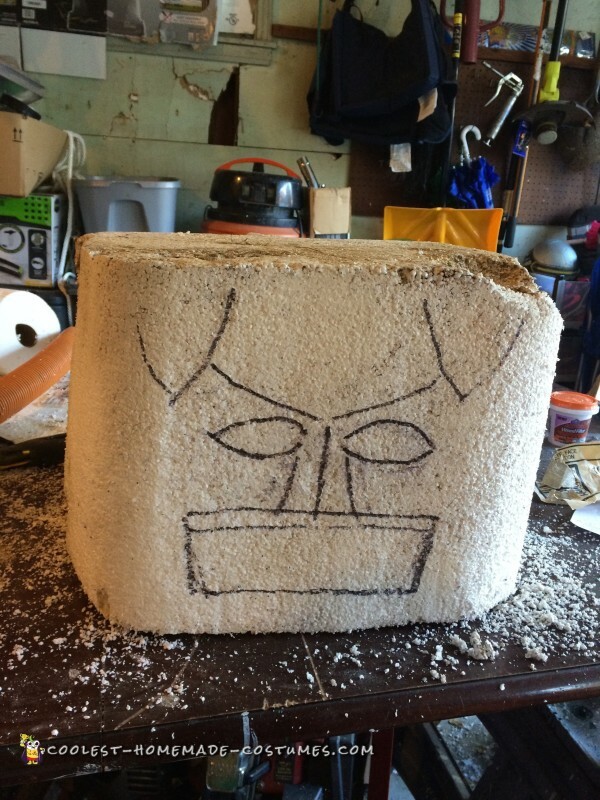 We then covered the foam head with ramboard that way we could fiberglass it. 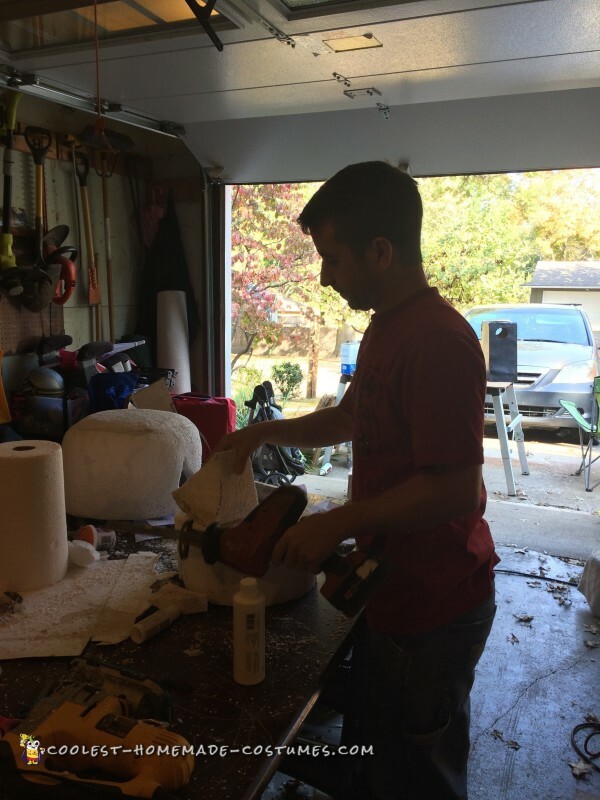 We couldn’t fiberglass the foam because it just ate it up so that is why we had to use the ramboard. We then used multiple layers of primer. We painted the heads to their specific character. We carved out the center of their heads big enough that they could fit their heads into. We cut a hole where their eyes and nose were and made that Lego’s mouth. The hair and helmets were the hard part. My husband carved them out of Styrofoam. 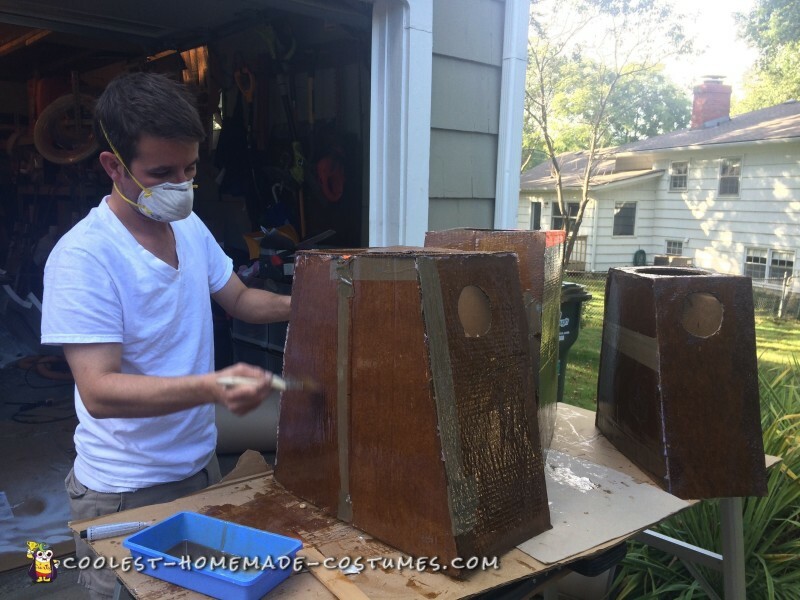 He used sandpaper and just sanded the Styrofoam to their desired shape. It took SEVERAL days to achieve this. When he was finished I painted the hair and helmets to their desired color with acrylic paint. It really sucked up the paint and I went through a lot of paint! The feet was just cut out of cardboard. We also used a fiberglass resin to give it a rock hard appearance. I super-glued a shin guard into the foot to help them walk easier. The hands were cut out of PVC pipe. We cut one pipe like a bracelet and one pipe like a C. We then cut a hold out of the center of the C pipe and attached it to the PVC bracelet! 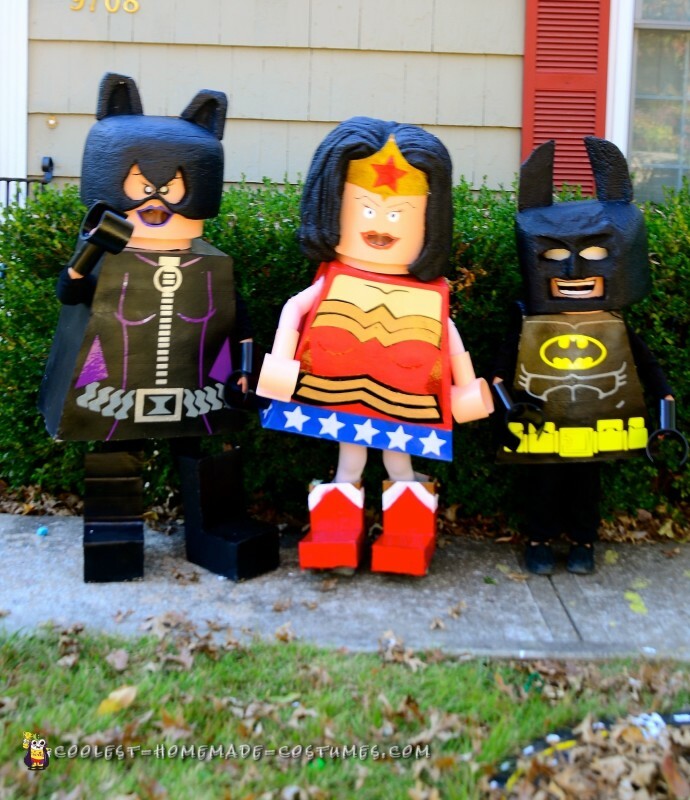 This did take us 3 months to complete this Lego Superhero group costume!